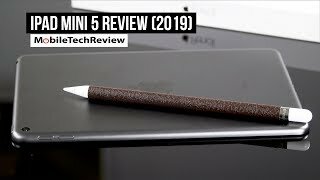 Apple Ipad Pro Space Gray Wifi+Cel 64 Gb 10"
Apple iPad Pro, the newest addition to the iPad family and the latest tablet to compete with the Microsoft Surface Pro 3 is officially here. 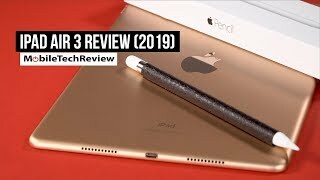 It has already made some rounds on the internet, but if you weren’t following, keep reading to find out more about the iPad Pro Dubai price and specs. The iPad Pro is huge and is more than 75% bigger than the iPad Air 2. Its 12.9-inch screen shows 2732 x 2048 pixel resolution and 264ppi of pixel density. This huge screen makes it easy for users to take advantage of the split screen multi-tasking feature. There are four built-in stereo speakers placed in both top and bottom part of the iPad. Moreover, the 3D Touch technology and Apple Pencil makes drawing on the iPad Pro an amazing experience. However, if you are into Windows tablets and don’t want to wait for the iPad Pro release date UAE, there is the Microsoft Surface Pro 3 and Lenovo MIIX 700 you can check out. 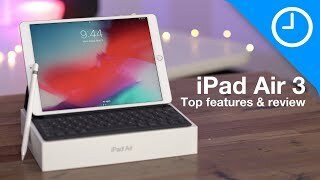 To make the iPad Pro perform faster and offer a smooth iOS 9 experience, the iPad Pro packs an A9X chip under the hood which, according to Apple offers 80 percent faster graphics performance compared to portable PCs. Another great thing about the tablet is the Smart Keyboard accessory which will remind you about the Microsoft Surface’s keyboard. Some of the other notable features are: 1.2-megapixel FaceTime camera, 8-megapixel rear camera and up to 10 hours of battery life. For those who are looking for a good Android tablet can check out the Samsung Galaxy Note Pro. The Apple iPad Pro will be available in both Wi-Fi only and Wi-Fi + Cellular version. The starting price of this latest iPad will be around AED 2900 . The Apple Pencil will cost around AED 400 while the Smart Keyboard accessory will be available for about AED 600 . The Apple iPad Pro release date UAE is expected sometimes in November, 2015. The rumors and leaks didn’t reveal anything about the price tag yet. However, we are expecting the iPad Pro Dubai price to be more than the price of iPad Air and less than the MacBook Air, around 3300 to 3600AED or SAR (~7000EGP). The iPad Pro release date UAE was expected to be around December, but it’s now pushed to the third quarter of 2015 if not early. 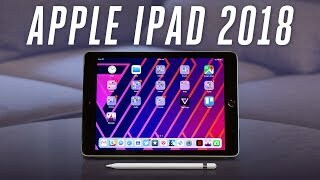 A professional version of the popular iPad from Apple titled as the “iPad Pro” is expected to show up in the year 2015. The whole thing is still just a rumor, but if the rumors and leaks are true, it’s in development at the moment as a genuine Apple product. Continue reading to learn more about the iPad Pro Dubai price, release date and specs. The Apple iPad Air 2 managed to grab our attention with its attractive design and 6.1mm thinness. The upcoming iPad Pro is expected to be even thicker than the iPad Air 2. It will be interesting to see how the iPad Pro looks with less bezels and thinner following the design of iPad Air 2. It’s also expected to follow the iPad Mini 3’s design slightly. 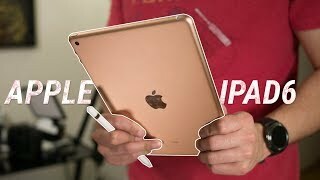 The Apple iPad Air 2 is available in three different colors: Gold, Space Gray and Silver so we are hoping to see the upcoming iPad in similar colors. If you are planning to buy a tablet with thinner design, you can wait for the iPad Pro UAE price to show up. If you are waiting for an iPad with giant size display, the upcoming iPad Pro will definitely make you happy. The upcoming professional version of iPad is expected to sport a big 12.2-inch screen. However, there are also rumors suggesting that the iPad will feature a 12.9-inch screen. The iPad Air 2 featured 2048 x 1536 resolutions in its 9.7-inches screen so this is the minimum resolution you can expect if not more. We are hoping to see LED-backlit IPS LCD touchscreen in the upcoming iPad. As the title suggests, it’s designed for professionals. For those who are looking for a tablet with big screen and not satisfied with phablets or smartphones, the iPad Pro release date UAE is worth waiting for. 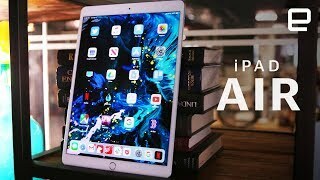 To help users play all their apps and games smoothly, the upcoming iPad Pro is expected to pack the latest triple-core A8X processor. It was first seen in the new iPad Air 2 and works 55% faster than the old A8 processor. The A8X processor will be accompanied by 2GB of RAM just like the iPad Air 2. If the rumors are true, there are no majors changes in the specs so far compared to the already available iPad Air 2. The rumor mill didn't reveal much info about the camera of this iPad. The iPad Pro will be running the latest iOS 8 which is also not a big surprise. All these are just a rumor so make sure you take them with a grain of salt. That’s all we have learned about the device so far. All these things are just based on rumors and leaks, so we have to wait for an official announcement to confirm.